What’s next? Plans for 2018! The Robot Range: This was fun! I had so much fun drawing these little creatures and bringing them to life. Each one of them representing a piece of me. The mom in me, the wife in me and the girl in me. 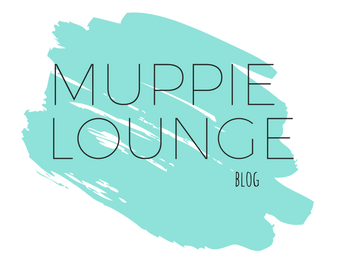 Being the first range ever for Muppie Lounge I will never… Continue reading What’s next? Plans for 2018! When it comes to Muppie Lounge, I do everything. From the planning, to the research, to the drawing, to the designing, to the choosing of products, to the packaging, to the writing of each individual post card and yes at this stage even to the modeling. I've done everything, which was good, because I know… Continue reading Who does the work? When I decided to start Muppie Lounge in November 2016, I had no real clue as to what was coming. I personally think it went well, I did everything myself and was ready for the launch. Another mom blogger that happens to live in my complex asked me about the social media side of things,… Continue reading Behind the scenes. More about our first range. Someone suggested I share some photos of the actual clothes that features in the first range and I decided that it was a great idea! If you red the blog post, "Our first range" that featured on the 25th October you will know where the robot range started. For those that never red it, go… Continue reading More about our first range. Every range will be inspired by something, once I am sold on an idea I'll start putting it together. Designs and drawings are all done by myself and this is the easy part. The hard part is to get the perfect picture in my head to become a reality in my hands to eventually sell… Continue reading Our first range. New, fresh, light, casual, happy, free, comfortable, plain Jane, mommy Tee's to add with a comfy pair of jeans and flip flops even on those days where you don't feel like getting dressed. Muppie Lounge clothing will always have a personal touch. It will always be more than just a Tee. Every single Muppie… Continue reading What exactly is this about?